Setting out job duties makes the expectations of both parties clear, and reduces any potential for misunderstandings. However, it is important to keep in mind that in the absence of any language that allows the employer to change the employee’s responsibilities, the employee may refuse to perform any duties that fall outside the contract. The amount must at least match the statutory minimum requirement. There is no obligation on an employer to provide for future pay increases in an employment agreement, so it may be a better idea to generally state that the employee’s pay may increase or decrease in the future based on performance evaluations. 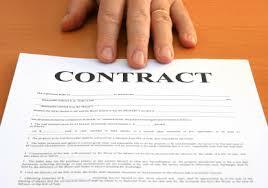 If an employment contract is meant to cover a fixed period of time or specific task, it must state the term or task. If not, the contract is considered to cover an indefinite period of time. Hiring for a fixed term or task eliminates an employer’s obligation to provide reasonable notice of termination. However, it is important to keep in mind that using this approach comes with difficulties and can have legal implications. This term would set out the amount of notice due to an employee on termination without cause. If this amount is not set out in the employment contract, the common law presumption of “reasonable notice” applies, which is more generous, and varies depending on the employee. However, there can be issues with including a termination clause if it is not carefully drafted. Under common law, a probationary period is not an implied term of an employment contract; therefore, it must be expressly stated in the contract. Probationary periods are typically 3 to 6 months long. Under Ontario’s Employment Standards Act, 2000, employees who work for less than 3 months are not entitled to statutory notice of termination or pay in lieu. Therefore, it is important to note that when a probationary period is longer than 3 months, the employer must give statutory notice to an employee. This clause states that the employee has been given the opportunity to seek independent legal advice before signing the employment agreement. An employee who has had an opportunity to obtain independent legal advice will find it difficult to challenge the contract based on the argument that they were unaware of the terms or the legal meaning of them.